Chaves Consulting, Inc. (CCI) is a IT solutions and Customer Support Center with more than 30 years’ experience in delivering customer solutions that support private and public-sector entities to achieve the outcomes they envision. Our clients will validate that we have a proven track record of delivering quality services that consistently meet and exceed expectations, going Beyond The Call ®. 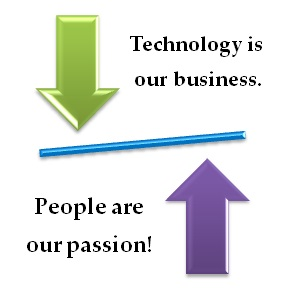 Technology is our business and people are our passion. What can we do for you? CCI is committed to partnering with our customers to generate innovative outcomes. Our highly skilled teams apply their creativity and flexibility to quickly and effectively deliver customized results. Hosting, Records Management, Elections, Synergy Data Center, and Help Desk solutions have been implemented in customer locations throughout the U.S.
CCI’s employee training, coaching and overall support processes have resulted in highly effective, impressive customer care. Our continuous learning and quality assurance practices ensure that our people enjoy coming to work every day which results in positive experiences for your customers. Learn more about Chaves's Record Management. 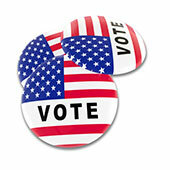 Chaves is proud to serve elections as the process that supports democracy. Chaves’s nationally-recognized Elections experts bring deep level knowledge in HAVA, State's Elections Laws, State and County Elections business processes and practices, voting and tabulation machine functions, and various forms of ballots and voting methods. Learn more about Chaves's Election Practice.